With dry conditions expected throughout much of the state this week, the Michigan Department of Natural Resources is urging hunters, and folks out cleaning up their yards, to keep fire safety in mind. The DNR encourages residents with Internet access to visit www.michigan.gov/burnpermit to get their burn permits online. Residents can use the interactive map to find the burn conditions in their area. If a “yes” is shown in the “burning permits issued” column, burning is allowed for that day. There is no need to print anything; this serves as a burn permit. For those who prefer to get their burn permits by phone, the DNR’s toll-free burn permit number is 866-922-2876. Dry conditions paired with increased outdoor activity had DNR firefighters, along with local fire departments, responding to 12 fires on 60 acres across the state last week. Firefighters’ actions saved seven structures, and only one outbuilding was lost. Three of the fires were caused by campfires and four were started by people burning yard debris. Fisher said these recent fires served as a reminder to be safe if camping while hunting. For more information about wildfire prevention, visit www.michigan.gov/preventwildfires. To check if burn permits are being issued in your area, go to www.michigan.gov/burnpermit. The Department of Natural Resources reminds hunters that Mi-HUNT is a cutting-edge, web-based application that can optimize a hunter’s experience. No matter where you are in Michigan, you can find public hunting land. The interactive mapping application can be found at www.michigan.gov/mihunt. 1. recreational facilities such as forest campgrounds, trails, wildlife areas and boat launches; and street maps and directions to huntable areas. This year, the DNR received a grant from the National Shooting Sports Foundation (NSSF) to improve Mi-HUNT for the user. It is being updated to provide more services to the user while improving the ease-of-use. The DNR also wants to remind hunters they have an additional opportunity to receive turkey, bear, elk, deer, and reserved waterfowl licenses by applying for the 2012 Pure Michigan Hunt drawing. Each application is $4 and you may apply as many times as you like. Three lucky winners will receive a hunt package that also includes a rifle and crossbow.. For more information, go to www.michigan.gov/puremichiganhunt. The Department of Natural Resources reminds hunters as the early antlerless firearm season concludes, a deer season continues for some people with a pair of special hunts. Tuesday (Sept. 20) through Friday, Sept. 23, youth hunters 10 through 16 years of age may hunt antlerless deer only in Deer Management Unit (DMU) 486. DMU 486 includes the majority of southern Michigan with the exception of four counties on the southeastern edge of the peninsula – Monroe (DMU 058), Wayne (DMU 082), Macomb (DMU 050), and St. Clair (DMUs 074 and 174). For a map of DMU 486, see the 2011 Antlerless Deer Hunting Digest, which is also available at www.michigan.gov/deer. The bag limit during this special early season is one antlerless deer per antlerless license. Following the early antlerless youth season, there will be a statewide youth and disabled veterans hunt this weekend, Sept. 24-25. A firearm or combination deer hunting license is valid for either an antlered or an antlerless deer during this special season. Veterans must be determined to be 100 percent disabled by the U.S. Department of Veteran Affairs to be eligible to participate in the Sept. 24-25 season. All hunters are required to wear hunter orange during these seasons. The recently adopted Hunter Heritage Act extended the opportunity for hunters 10 through 13 years of age to hunt on private land with a firearm deer license, junior combination deer license or antlerless license—if they have successfully completed hunter education training, or with an apprentice hunting license. In any case, the youngster must be accompanied by a parent, guardian or other adult designated by the parent or guardian. The change is not reflected in the 2011 Hunting and Trapping Digest, as the publication went to press before the law was changed. 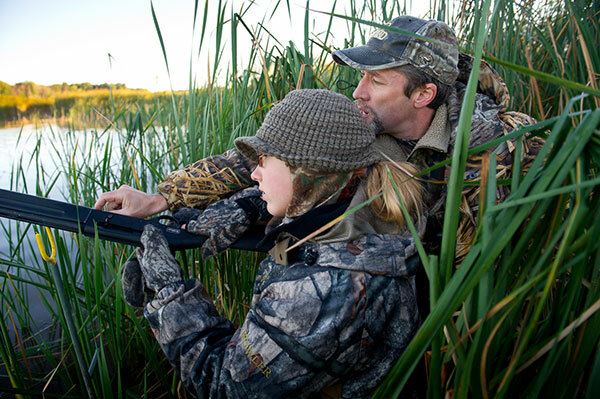 Youth ages 10-13 can hunt with archery and crossbow equipment on both public and private lands, and those age 14-16 may hunt with archery, crossbow or firearm equipment on both public and private lands. To see which DMUs still have antlerless licenses available, visit www.michigan.gov/huntdrawings. For more information on these hunts, check the 2010 Michigan Hunting and Trapping Digest or visit www.michigan.gov/dnrhunting. The Department of Natural Resources and Environment reminds hunters that muzzleloader season for deer opened last Friday in the Zone 1 (Upper Peninsula) and Zone 3 (southern Michigan). The season runs for 10 days in the U.P. and 17 days in southern Michigan. Hunters must possess appropriate license tags—firearms license or combination license tags to take an antlered buck, or antlerless deer licenses to take antlerless deer. Muzzleloading season in Zone 2 (northern Lower Peninsula) runs from Dec. 10-19. For information about hunting in Michigan, including regulations, season dates and bag limits, go to www.michigan.gov/hunting.